Antonio Neri's first translator was a London physician named Christopher Merrett. He was an early member of the Royal Society and completed several projects for them. Besides Neri's book, he compiled several volumes on flora, fauna and minerals. He published work on herbs and flowers, which was criticized as derivative, and he made some important contributions to the invention of carbonated wine (champagne). 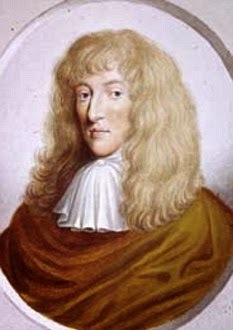 At the behest of physicist Robert Boyle, one of the founding members of the society, he spent considerable effort on the translation of L'Arte Vetraria into English in 1662. He sought out glassmakers, observed work in progress and tried, unsuccessfully, to find out something about the author himself. Nevertheless, he seems to have disliked Neri, or at least was very annoyed by him. Most notably, in the book, he complains about Neri's "nauseating repetitions" and decides to reorganize the structure of the volume. Dispensing with many of Neri's personal remarks, he congratulates himself on his "ingenious" changes to the text. Merrett was also the first official librarian for the Royal College of Physicians. Through his dealings with them, we can see his ornery streak more clearly. In the 1666 great fire of London, the library and much of the college had burnt to the ground. He personally saved about a tenth of the 1300 volumes. Nevertheless, with the library, college and much of London gone, Merrett demanded his usual salary from the college and when they refused, he sued them in court. Later he got into a rather nasty public dispute with apothecaries over how to fill prescriptions. He was incensed at the practice of occasionally substituting unavailable ingredients for others that were at hand. In the end he was expelled from the College of Physicians, and to this day remains the only member ever to be banned for life. He retreated to his private practice and retired in obscurity. Merrett's translation appeared a year after Neri's original was reprinted for the first time, in Florence, and a year before another edition printed in Venice. For the most part, Merrett's version of Neri is accurate, although he does go off the rails in a few places. He translates the Italian term for beadmaking "conteria" as “counting houses” rendering several passages completely nonsensical. As mentioned above, he decided to collect repetitious information at the beginning of sections, which does condense the text, but at the same time makes the book very difficult for any craftsman to actually use. On the other hand, he did introduce Neri's recipes to the English speaking world for the first time and he added extensive remarks and annotations, starting a tradition that would continue in later translations into French and German. The next translation after Merrett was into Latin, in Amsterdam in 1668. This version pays homage to Merrett but reverts to the original Italian for translation purposes, restoring Neri's format. Only fifty years after Neri’s death, Merrett stated that “Concerning our author, and this work, I find no other mention of him” (aside from two minor references). It is a shame that the physician did not have contacts in Florence, because he would have certainly found Neri’s nephew, living in the family palazzo on Borgo Pinti, practicing medicine himself. 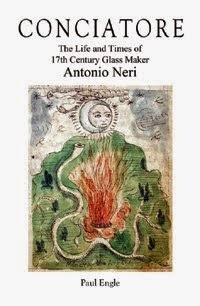 Antonio Neri was celebrated locally, in Italy; the Accademia della Crusca had adopted a number of his glassmaking terms for their groundbreaking dictionary. But it was Boyle and Merrett who put Neri on the path to greater notoriety throughout Europe. The book was translated and reprinted dozens of times, yet the life of the author remained largely a mystery. Neri was remembered briefly in the eighteenth century by Florentine historian Targioni-Tozzetti and again in the nineteenth century by Inghirami, Poggendorff, and in numerous short entries of other biographical dictionaries. By then, his book had become a classic text on glassmaking, yet still almost nothing of the author’s life was written. Glass is one of the fruits of the fire. Which is most true, for it is a thing wholly of Art, not of Nature, and not to be produced without strong fires. I have heard a singular Artist, merrily to this purpose say, that their profession would be the last in the world: for when God should consume with fire the Universe, that then all things therein would vitrifie and turn to glass. Which would be true upon supposition of a proportionable mixture of fit Salts, and Sand or Stone.